Wealthsimple has launched a winter referral promotion, offering new sign-ups $10,000 in managed investments free for a year, plus the opportunity to earn up to $500 by recruiting friends and family. Invite friends to save or invest with Wealthsimple between now and April 12th, 2019. If 3 (or more) friends sign up and make a minimum deposit of $250 before the deadline, we’ll put $500 into your account after April 12th, 2019. March 1, 2019 is the deadline for final RRSP contributions to defer your tax contributions for 2018. Wealthsimple has RRSP accounts available, plus can also accept investment transfers from your existing bank. For transfers over $5,000 to Wealthsimple, they will refund you any fees dinged by your bank or financial institution. If you recently signed up for Wealthsimple but forgot to use a friend’s referral code, it can still be retroactively applied within 30 days, by contacting the company (tell them the code FXETQ). 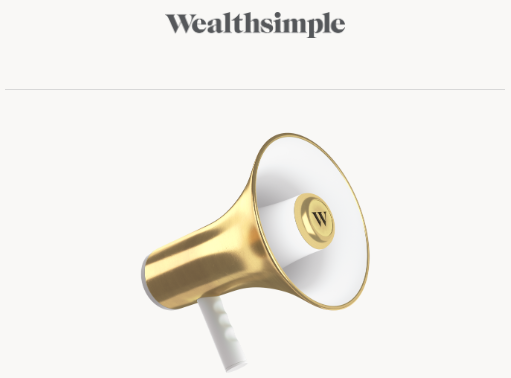 Wealthsimple offers ETF portfolios which are automatically rebalanced and managed, while users get full account management on the go, from the company’s iPhone app. The Canadian company manages over $2.5 billion in assets from over 100,000 clients. Click here to sign up for Wealthsimple and get your first $10,000 in investments managed free for a year.